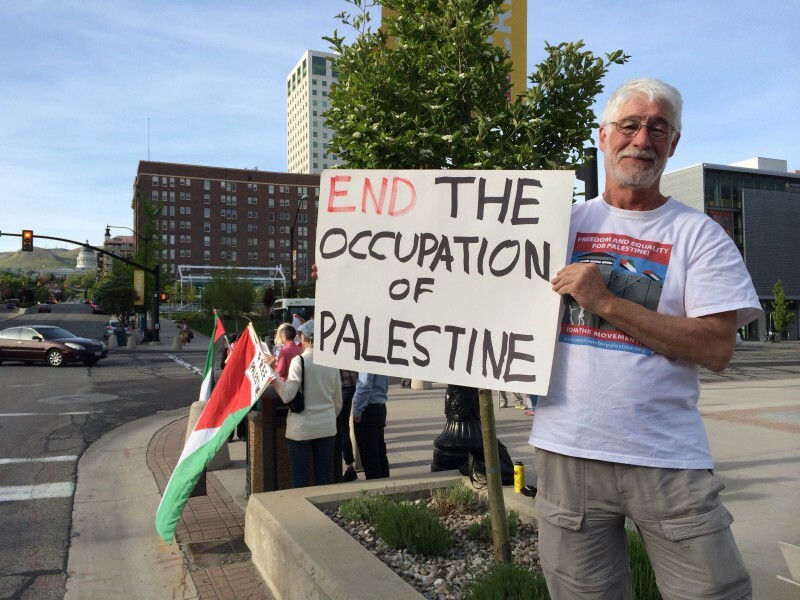 Utah Protest of U.S. aid to Israel on Al Nakba | Fight Back! Salt Lake City, Utah - Students and international solidarity activists held a protest, May 15, to mark the 66th anniversary of Al Nakba. The students called for an end to U.S. aid to Israel and demanded justice for Palestinian American activist Rasmea Odeh. Protesters stood on the corner of the William Bennett Federal Building during rush hour waving signs and holding Palestinian flags. The protest featured speeches by local anti-war, Palestine solidarity and Palestinian activists. The rally, organized by the Utah Valley University Revolutionary Student Union, united groups that want to cut U.S. taxpayer money that goes to war and occupation. May 1948 marks the Zionist establishment of Israel. For Israelis, it's a time of celebration. For Palestinians and Arabs it commemorates a time they call Al Nakba - Arabic for "the Catastrophe.” During the 1948 war, at least 750,000 Palestinian men, women and children were ruthlessly attacked, massacred and driven from their homes into refugee camps by Zionist terror groups. In a gross violation of international law, Palestinians continue to be denied the right to return to their own land. At the same time, the establishment of Israeli settlements steals more Palestinian land every day. The U.S. government does nothing to stop it. Protesters also demanded justice for Rasmea Odeh, a leader of Chicago’s Arab community who faces serious charges in a case that is part of a long-standing campaign of repression against Palestinians and those who work in solidarity with them. Her case is tied to the FBI and grand jury investigation of the Antiwar 23 and others. Rasmea Odeh’s case is set to come to trial in Detroit on June 10.